Slings are like holsters in that it take time to find just the right one and they are absolutely necessary. Often overlooked, slings improve the function of your weapon outside of just a holding position, as, when used properly they can aid in creating a more stable shooting platform. 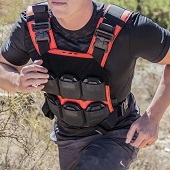 The slings we carry are designed to be used with or without body armor.